Yet another mess-up this weekend at the races. (6/27/8) The car wasn't getting fuel. 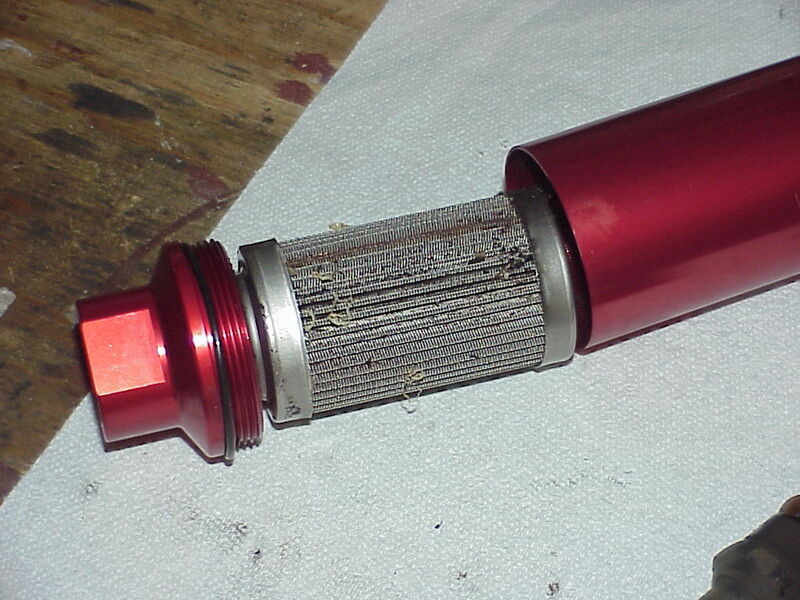 Turns out it was the filter on the other side of the pump. (Not this one.) Replacements are on the way. It oughta run,,,,,,again.